Published at 18/11/2017 12:26:51 from Argentina, 11130 visits. Piaggio Vespa bsin P2 in impeccable condition, all works it. A piece of unique collection. 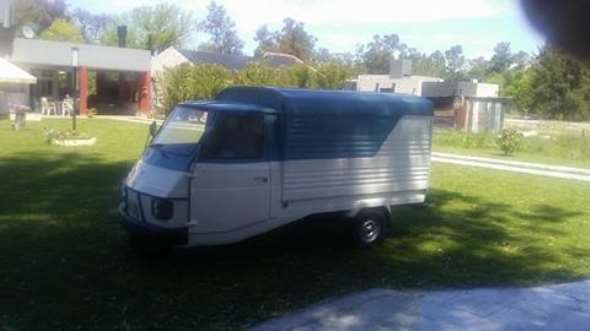 Very classic Italian, van, electronic ignition, two-stroke, four forward and reverse, speed brake hydraulic three-wheel consumption per 100 km 4.8 l, load 700 kg, the Ape moves easily in tight spaces already wheel earlier gives the direction and allows a section front and best maneuver, running. Holder. For advertising, photos, car gourmet, etc.